British Rally Champion, Keith Cronin, in action on the 2017 Manx Rally. 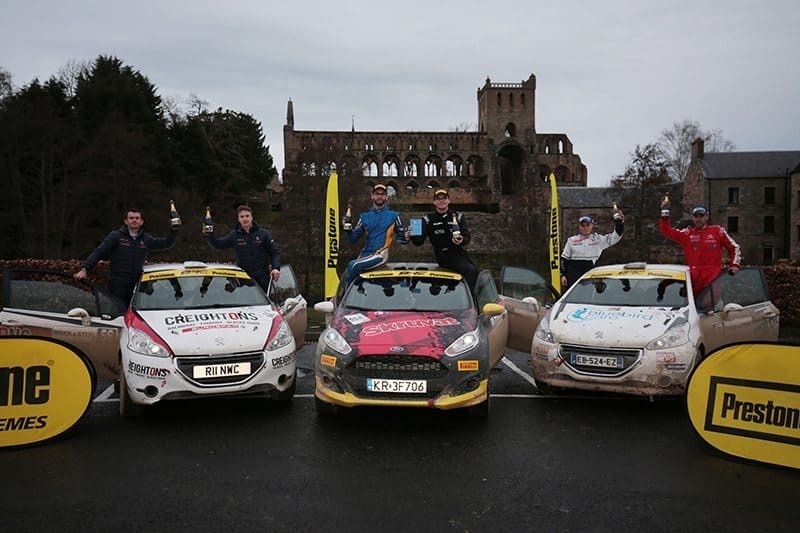 Five of the six rounds of the 2018 British Rally Championship coincide with dates for the FIA’s World Rally Championship, dashing hopes that leading young foreign drivers will be tempted to spend a year rallying in Britain. On many occasions over a period of more that 40 years, the BRC has been an attractive place for top foreign drivers and teams, particularly in days when the championship rallies and the WRC Rally GB were secret route events. This gave the BRC a strong international prestige. Date clashes with the WRC are a problem for the British Rally Championship in 2018. BRC Manager Iain Campbell explained the BRC dilemma. “At the time of the BRC calendar announcement it was not known what the dates would be for the WRC rounds, though we were pretty sure that Germany would be a clash, and the Turkey event did not even exist at that point! “The planning of the BRC calendar is very heavily dependant on the UK National calendar as well. The availability of marshals, rescue units, radio operators etc., is imperative to the running of an event. “That is before you even look at what dates are available for local landowners and facilities. “We would love to not have any clashes. 2018 has a clash on every event bar Ypres. None of our events can move from their dates and I believe that the Finnish Championship is in a fairly similar position. “Yet both of us had our dates out in August, but the WRC is the big machine that unfortunately is also one of the last to have its calendar announced,” Campbell explained.